Lough Eske Castle in Ireland and Borgo Egnazia in Italy are planning a UK MICE drive led by Ram Organisation. Ram Organisation is coordinating a marketing drive to push the hotels to UK events agencies and corporate event planners, kicking off with a lunch at HIX Soho on 14 February. 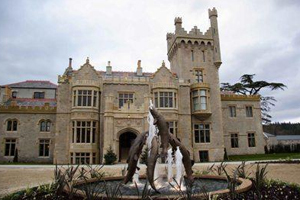 Imagination, Active Consultancy and Conference Selection are among agencies attending the event to promote Lough Eske Castle, in Donegal, which has 96 rooms. Three meeting spaces including a ballroom can accommodate 14-400 delegates. The event will be followed by a fam trip to the hotel on 17-18 March, said Ram Organisation managing director Judy Till. PR specialist Lemongrass Marketing appointed Ram Organisation to cover the UK MICE sector for the two hotels. Borgo Egnazia is set to open fully in April and has 184 rooms, golf facilities and meeting space for up to 200 delegates theatre-style. A covered outdoor space can host up to 600 delegates at the Puglia resort. "Both these properties are pushing to the MICE market for the first time," said Till. "Growing trends for hotels in particular wanting a slice of all business markets has led to a stronger focus on the MICE market."